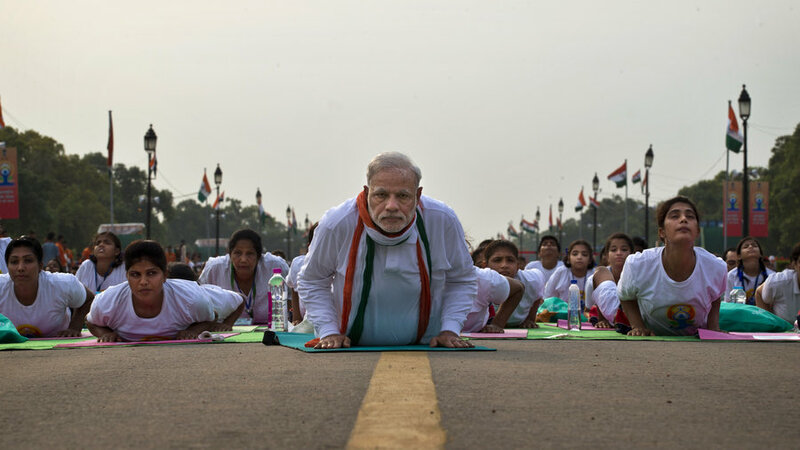 June 21st was declared as ‘International Yoga Day’ by the United Nations in 2014. 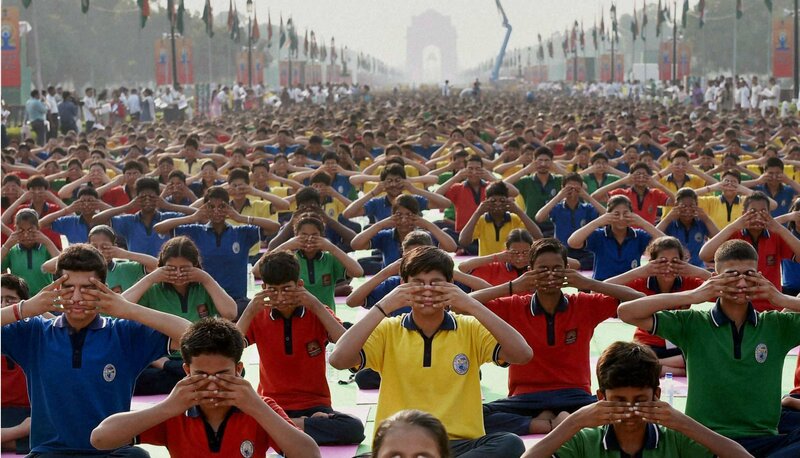 Last year India too, started with this celebration on a massive scale along with 190 other countries. 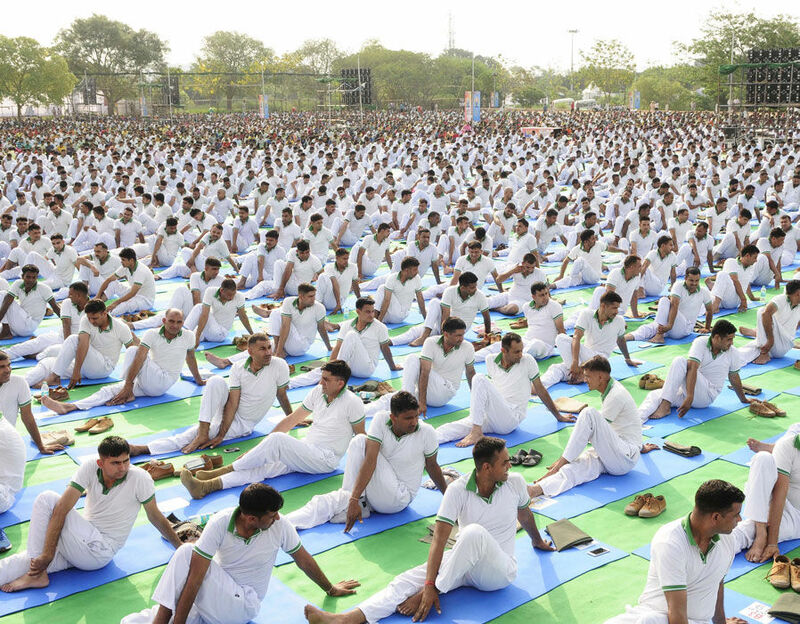 Over 100,000 yoga programmes will be organized across India on June 21, with the main event being held at Chandigarh's Capitol Complex. Nearly 35,000 people, led by Indian Prime Minister Narendra Modi, are expected to participate in the event at Chandigarh. 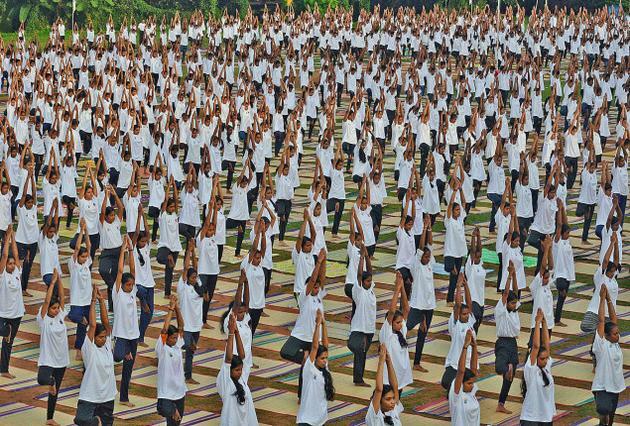 The participants dressed in identical white T-shirts and blue or black lowers, will perform yoga poses on blue and pink mats with the Yoga Day logo at Chandigarh. 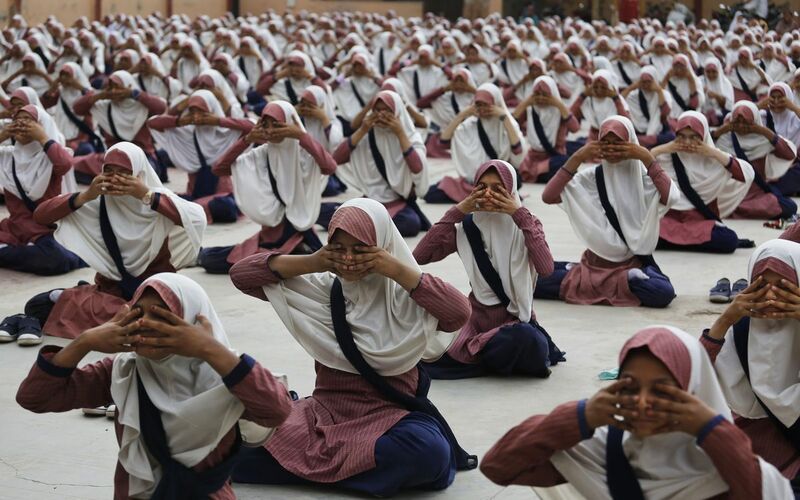 In the run-up to the International Yoga Day, rehearsal, workshops and camps have been held across the country over the last month. 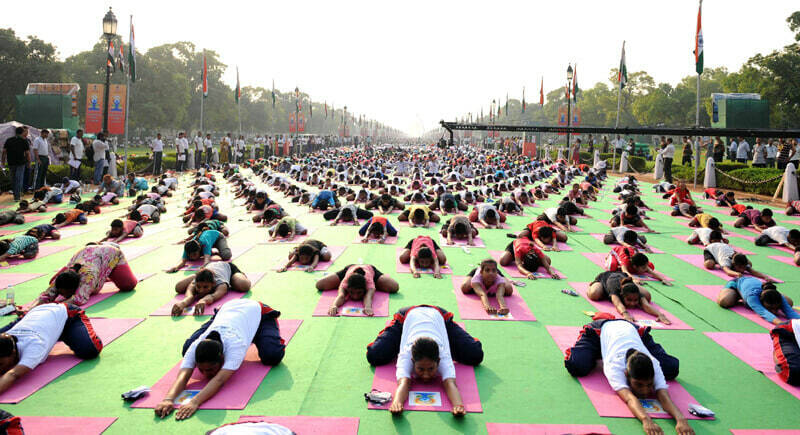 In India's capital Delhi, 10,000 participants will perform yoga at various locations. In addition, around 57 ministers from the Indian government will lead programmes across the country. The venue include 16,000 colleges, 12,000 schools and 391 universities. 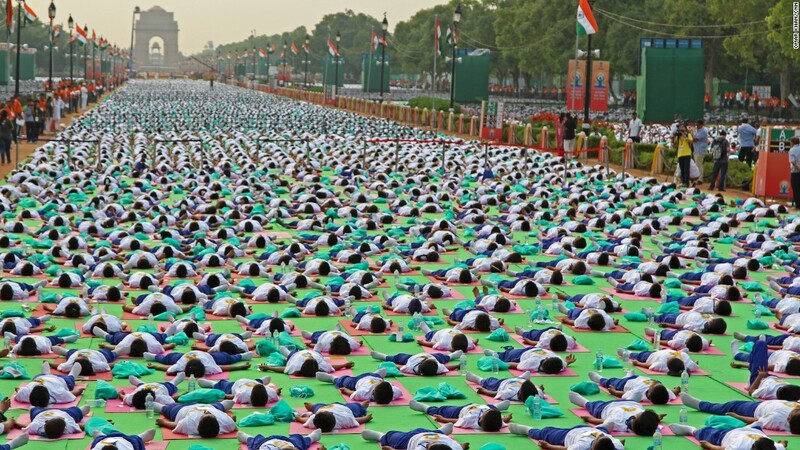 In the southern state of Tamil Nadu, the government also plans to run 104 medical helplines to answer questions on various yoga poses, meditation and breathing exercises. 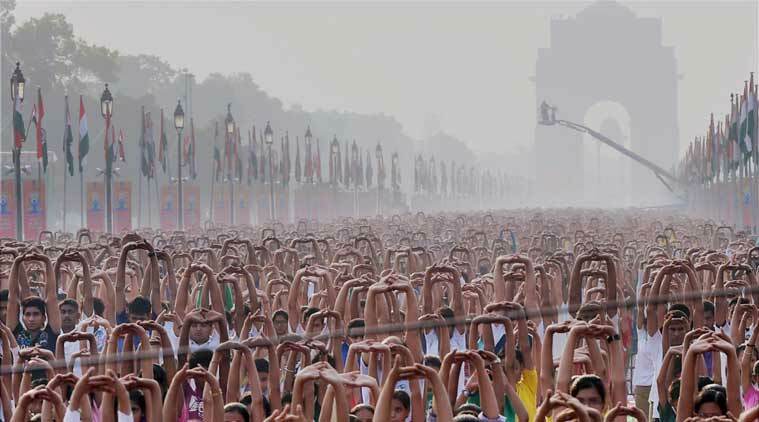 We hereby wish you all a very peaceful International Yoga Day 2016! If you’re a yoga person, you’ve got to try some weird yoga positions too!